The aim of this website is to document the Kimberley Toad Busters fight to stop the cane toad crossing into Western Australia and to provide the Western Australian Community some understanding of the enormous efforts (and contributions) that can be made by unpaid volunteers! 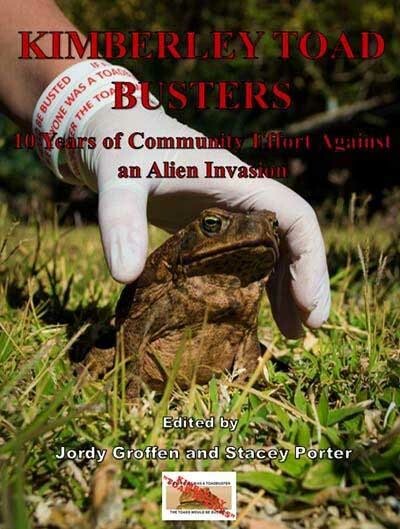 Kimberley Toad Busters Media Releases 2015. Kimberley Toad Busters Media Releases 2014. Kimberley Toad Busters Media Releases 2013. Kimberley Toad Busters Media Releases 2012. Kimberley Toad Busters Media Releases 2011. Cane toads raise funds for KTB! Declared by the Federal Government 12 April 2005. 10 Years of Community Effort Fighting an Alien Invasion. It is difficult to assimilate the enduring incredible success, enthusiasm and energy of the community volunteer group Kimberley Toad Busters. Ten years on, and six years after the first cane toad crossed over the border into the Kimberley, this incredible community energy and commitment has endured. Government, scientists and ordinary people across Australia and around the western world are now fully aware of the plight of our native species from the threat of the cane toad”. Statement by Lee Scott-Virtue President & founder of KTB. 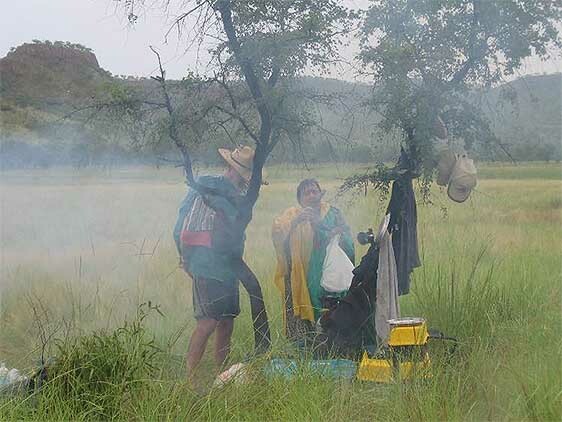 this book we have tried to incorporate the science, research and education components that are as integral to this amazing volunteer group as we have in ensuring that the difficulties faced by volunteers in an environment as harsh as the Kimberley has not been missed”. Statement by Stacey Porter, co-editor of the KTB publication. We have also tried to retain some of the outback humour with a chapter on some of the ‘bloopers’ that can only happen when you have to take hundreds of volunteers into an environment full of saltwater crocodiles, snakes, and heat and humidity beyond human tolerance” stated Jordy Groffen, KTB Biodiversity Scientist and co-author of the KTB publication. Kimberley region of Western Australia, places a normal resident or tourist would never go. Readers can share the passion Kimberley people feel about the cause with many returning year after year and helping to raise awareness of the devastating effect this pest has on our environment”. A final word from Stacey Porter “Catching cane toads with volunteers is always great fun and interesting as they come from all different walks of life including backpackers, politicians, TV crews from around the world, researchers, and of course our regular volunteers from Kununurra and the broader Kimberley residents including Indigenous groups and local school groups. This KTB publication has a story to tell from people from all walks of life and the science and knowledge picked up by ordinary people concerned about the impacts of toads on their beloved Kimberley environment. Photo’s by Dean Goodgame and KTB. The toads would be busted!